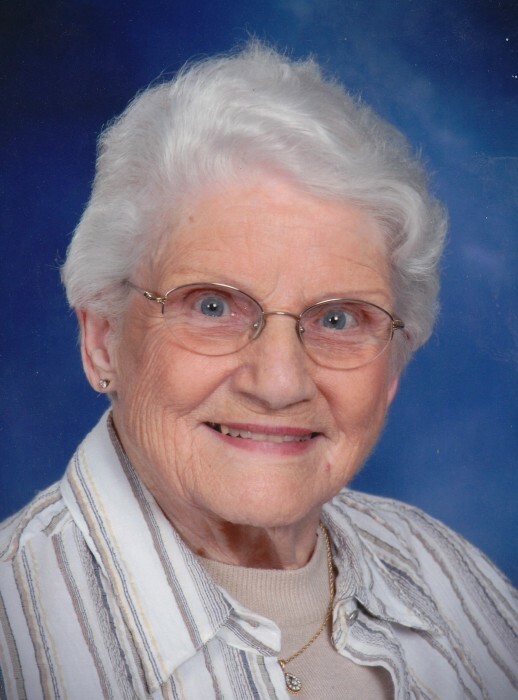 Maxine M. Knuf, 94, of Quincy, passed away at 8:45 p.m. Sunday (March 17, 2019) in Good Samaritan Home. Born May 30, 1924 in Quincy, Maxine was the daughter of Roy J. and Willa E. Manigold Huseman. She married Donald H. "Gus" Knuf on September 18, 1948 in Quincy. He preceded her in death on December 11, 2004. Maxine was a longtime member of Salem Evangelical United Church of Christ where she had been active with the Afternoon Guild and the Quilters. She enjoyed needlework, playing cards with family and friends and tending to her flower garden. Maxine loved helping others by volunteering at Blessing Hospital, Meals on Wheels and RSVP. Maxine had been employed at Gardner Denver and Monogram Industries until their closing. Survivors include her son, Kurt Knuf (Susan) of Quincy; a son in law, Reid Odean of Rock Island, IL; three grandchildren, Jason Knuf of Quincy, Russ Odean of Los Angeles, CA and Rev. Emily Davis (Ryan) of Chicago, IL. Maxine was preceded in death by her parents; her husband, Gus; her daughter, Kathy Odean; and a sister, Sue Hart (Augustus). Funeral services will be held Thursday morning at 11:00 in the Zehender Robinson Stormer Cookson Funeral Home with Pastor Steve Disseler officiating. Burial will be in Greenmount Cemetery. Visitation will be Thursday morning from 10:00 until the time of services at the funeral home. Memorials may be made to Good Samaritan Home or Salem Church.